We apologize! Due to technical problems the server was unavailable. Therefore, we extend the deadline until 2 December 2018. Our PreDoc Program in Mathematics is designed for outstanding students who wish to pursue their PhD at our Department. Through application and admission already at a Master's level, PreDoc-students have early access to many aspects of the Faculty's Doctorate Programs as well as special financing possibilities! What do I get from our PreDoc program? Scholarships for the duration of max. 2 years (a monthly stipend of 1.000 EUR) are available for international students. These will be awarded on the basis of academic merit. Using single-cell analysis, researchers study the behavior of cells. But the method is prone to errors. A deep learning algorithm can now detect these errors. Send Valentine greetings with a customizable algebraic equation. With the widget "Suess" by Aaron Montag and IMAGINARY, you can see what (x²+((1+b)y)²+z²-1)³-x²z³-ay²z³=0 can look like. When the Mekong overflows its banks, millions of people are threatened by flooding. With a statistical model by Prof. Klüppelberg and a research team, the water level can be predicted. How fair are democratic elections? And what does fair mean? In his lecture on the agony with choice, Prof. Peter Gritzmann reveals how mathematics can bring more justice into democracy. You want to pursue a doctorate in Mathematics. You are passionate and creative about Mathematics. You have proof of sufficient English language skills (e.g. TOEFL minimum requirements: internet based test: 88; computer based test: 234; paper based test: 605). 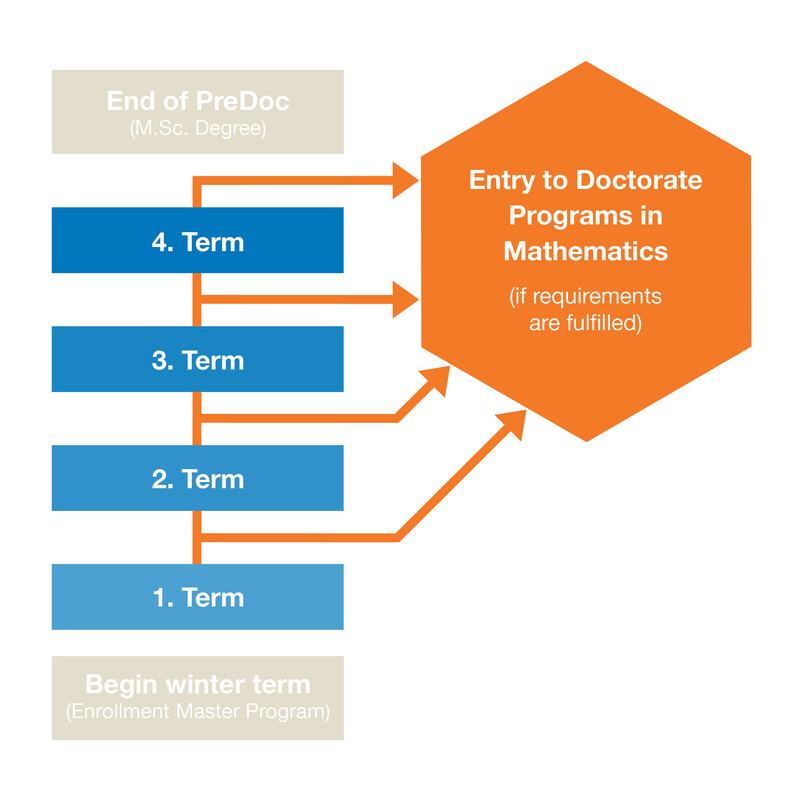 Please note: The Mathematics PreDoc program is only open to international candidates who are not yet TUM students, but have met all prerequisites for enrolling in a Masters program in mathematics at the TUM and who, moreover, enrol in a suitable TUM Masters program for the duration of their funding. Although you must apply for the PreDoc program separately, the final admission is dependent on admission to one of our Master Programs. The deadline is November/December of each year for admission to winter term (October) of the following year. Applicants for winter term 2019 may submit their documents until 2 December 2018. For questions please contact gradoffice (at) ma.tum.de. Please note: Incomplete applications and applications which do not comply with the stated criteria will not be considered. Here you find detailed information about English Language Certificates. What is the application and admission process? Who is who? Meet our PreDoctoral students. "I am 22 years old and come from Albania. I have always been interested and curious about Mathematics, that is why I have tried to find a good environment to extend my knowledge. While finishing my bachelor in Mathematics in Bilkent University in Ankara, I was in search of another institution which would satisfy my desire for knowledge. TUM seemed to have the best program for me and moreover, being part of the Pre-Doc program makes it even more challenging and hopefully more enjoyable for me. I decided to pursue Mathematics in Operations Research at TUM, in order to be able to use mathematics in a broader range of application. Being on the first steps of the Pre-Doc program I am enthusiastic to see how it will help me evolve. Moreover, I look forward to the supervision and guidance I will receive from the program so as to have the chance to elect my preferred field of interest." "I grew up in Germany and the UK before starting my Bachelor in Mathematics at Imperial College London in 2013. Soon I discovered my passion for data analysis and was able to participate in a research project with Imperial College’s Chair of Computer Vision that lead to a publication in CVPR 2017. In 2016 I started my master in Mathematics in Data Science at TUM. As part of the PreDoc Program in Mathematics, I am mentee to Prof. Claudia Czado at TUM’s Chair of Mathematical Statistics." "I'm a PreDoc and a student in the MSc of Mathematics, affiliated with the Chair of Operations Research through my mentor Prof. Andreas S. Schulz. Before I started my studies at TUM I completed a MSc in Industrial Economics and Technology Management at the Norwegian University of Science and Technology (NTNU), where I focused on operations research and computer science. My master thesis was titled "A distributed algorithm for large-scale stochastic optimization problems". I have also spent time as an exchange student at Nanyang Technological University (NTU) in Singapore and as a visitor at the Federal University of Santa Catarina (UFSC) and the Institute of Pure and Applied Mathematics (IMPA) in Brazil. My current research interests are algorithmic game theory, mechanism design and algorithms in general, parallel and distributed algorithms in particular. I'm interested in these topics both from a theoretical viewpoint and in their applications to real-world problems."